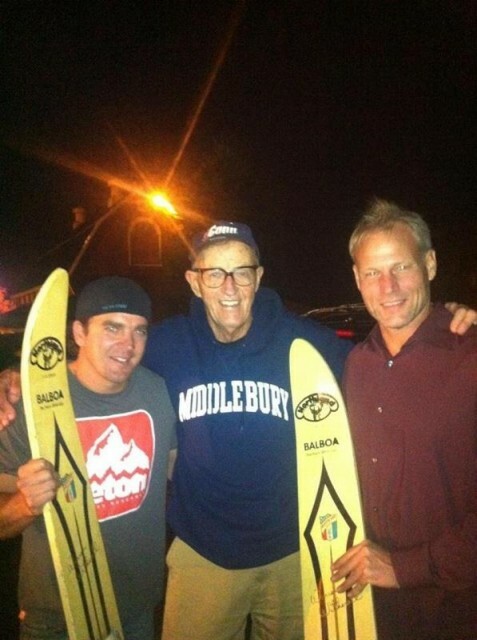 On Monday, May 26, we lost a legend in the water ski world. Warren Witherell passed away after a yearlong battle from a stroke and heart attack. He was 79. I had the great honor to ski for and with Warren during my collegiate years at Rollins College. Warren came to Rollins as coach of the water ski team in 1986 and immediately took the collegiate skiing scene by storm. His ambition was to create a superior team by recruiting not only from the US but to develop an international cast of skiers from Sweden and Canada. His recruits included the likes of Britt and Tawn Larson, Brenda Nichols Baldwin, Kim Laskoff, Helena Kjellander, Russell Gay and Chis Swann, all of whom were professional tour skiers and record holders in various events. In 1989, Warren took the Rollins Ski Team to a dominant historic victory at the Division I Collegiate Nationals putting an end to an 8-year winning streak by Northeast Louisiana. As a coach, Warren would open the Rollins Boathouse every morning at 6 am and team skiers would be on the water by 6:30. Warren had a passion for slalom and as a world champion himself, would spend countless hours working with every team member improving their technique and adjusting their ski. I remember skiing in the mornings, leaving my ski with Warren to be tuned and being back out a few hours later with a much improved ski. I will never forget Warren taking a file to my brand new HO. He was ahead of his time when it came to shape and fin adjustments. Warren was not only a coach but an “honorary team member” and always right in the water with us. When we didn’t do it right, Warren, in his 50’s, would show us how to run 38 and get deep 39… he was our best skier. In 1984 Warren was immortalized as he was inducted into the Waterski Hall of Fame. Notably, he was the first person to ever jump 100 feet. Other firsts include the double wake cut, making two trick passes on a single ski, running 36 off (yes, that’s correct) when the maximum speed was 34 and winning the very first Masters Tournament in 1958 in slalom. In the 1950’s Warren was a critical member of the Rules Committee and helped to develop the sport as we know it today. Waterskiing was not his only passion; he was a legend in Alpine Ski Racing. In 1970 he founded Burke Mountain Academy in Vermont and was headmaster from 1970-1984. Under Warren’s leadership, BMA produced four members of the 1976 Olympic Alpine Ski Team and went on to produce 130 US Ski Team members and 29 Olympians. Warren published two books, “How Racers Ski” in 1972 and “The Athletic Skier” in 1993. In 1993 Warren was inducted into the U.S. Ski and Snowboard Hall of Fame. Warren was a master of body movements, not only with water and snow skiing, He analyzed the golf swing and wrote and taught the basketball free throw. He could drive the ball 400 yards down the middle. I last saw him 18 months ago as he was giving a clinic on “balance” at our local snow ski mountain. Warren is survived by his two daughters Heidi and Holly who were also on The Rollins Ski Team. Warren, you will be missed! This entry was posted in Member Highlights, Memorials, News, Warren Witherell by Hutch. Bookmark the permalink.